WASHINGTON (AP) — Aiming to crack down on money laundering and bribes to overseas governments, the FBI is stepping up its efforts to root out foreign corruption with a new squad of agents based in Miami. The squad will focus its efforts not only on Miami but also in South America, a continent that has been home to some of the Justice Department’s most significant international corruption prosecutions of the last several years. The Miami squad joins three others based in the FBI’s largest field offices — Washington, New York and Los Angeles. The unit aims to identify violations of the Foreign Corrupt Practices Act, a U.S. law that makes it illegal to bribe foreign officials. 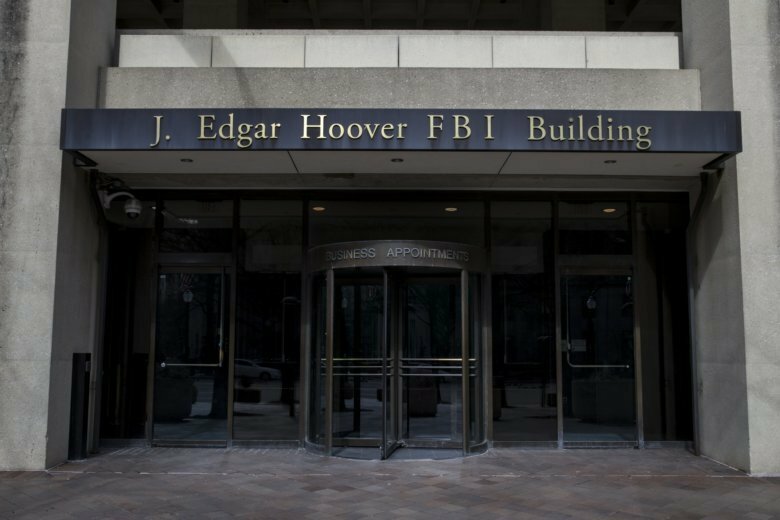 The FBI has also been doing outreach to companies in a variety of industries, from oil to pharmaceuticals, to teach them about red flags that could indicate corruption and encourage the companies to “self-report” potentially improper conduct to the bureau. “One thing when I talk to companies, I’m like, ‘When you pay a bribe, do you know where your bribe goes? Is your bribe going to fund terrorism? '” Backschies said. And so far, the cases the unit has brought have resulted in billions of dollars in settlements. Last September, for instance, the Brazilian-owned energy company, Petrobras, agreed to pay more than $853 million to resolve investigations into allegations that executives paid hundreds of millions of dollars in bribes to Brazilian politicians and political parties. And in December 2016, the Brazil-based construction conglomerate Odebrecht and another petrochemical company agreed to pay more than $3.5 billion to settle charges they bribed politicians around the world through a web of shell companies and off-the-books transactions. “We’ve seen a lot of activity in South America — Odebrecht, Petrobras. South America is a place where … we’ve seen corruption. We’ve had a lot of work there,” Backshies said. More broadly, special counsel Robert Mueller’s Russia investigation has shone a spotlight on international corruption. Former Trump campaign chairman Paul Manafort is being sentenced Thursday in federal court in Virginia on charges that he evaded taxes on millions of dollars in income received through political consulting on behalf of a pro-Russia Ukrainian political party, and that he concealed his money in undisclosed foreign bank accounts. Prosecutors have scored 34 convictions in cases brought by the international corruption unit from 2016 until 2018. The cases are often longer-running and more financially complex than other crimes the FBI investigates. Agents also have to be conscious of any potential political ramifications because international corruption cases can have widespread effects that influence elections and economies, Backschies said. In addition to regular conversations about cases, FBI supervisors meet with lawyers at the Justice Department in Washington each quarter to review potential prosecutions and the possible consequences. The agents are working to ensure there’s “a place where business can compete fairly,” and in most cases other governments are glad to accept the FBI’s help in rooting out corruption, Backschies said. “You can’t just have one agent or two agents in a field office addressing it. …You can’t be working this two hours a week. It’s just not going to work. You need full-time dedicated resources,” she said. The unit had been splitting cases involving South American countries between the three other offices before Backschies decided they should refocus their resources and add agents in Miami. The new squad will be comprised of six agents, who will start in their roles later this month, plus a supervisor and a forensic accountant. Unlike other FBI field office squads that focus on violent crime and public corruption and report to local leadership, this one will answer to officials at headquarters in Washington. Follow Balsamo and Tucker on Twitter at www.twitter.com/MikeBalsamo1 and www.twitter.com/etuckerAP .